Queensbridge councillor Patrick Vernon may have lived in the borough for 20 years, but he hails from somewhere much more exotic – Wolverhampton. His parents came over from Jamaica in the Fifties as part of the wave of immigrants looking to get the British economy back on its feet. Vernon says his working class multi-cultural upbringing amongst white Brummies, Sikhs and Ugandan neighbours gave him a vision of how mixed communities could give children and young people a disciplined upbringing and a wealth of opportunities. Today the councillor has not just a degree under his belt, but a place on the council, leadership of a charity, and last month, he was awarded an OBE. Vernon notes with glee that his Dad bought The Times newspaper for the first time in his life on the day Vernon was named on the Honours list. The councillor has previously worked for the Citizens’ Advice Bureau as well as charities including MIND. 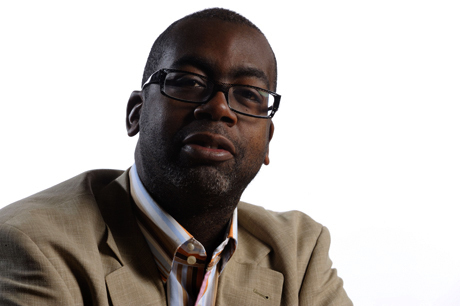 His career in health and social care has led him to the post of Chief Executive of the Afiya Trust, a charity focusing specifically on race equality in health and social care. When Vernon was growing up, both his parents worked long hours in tough jobs – his father typically worked 12-hour shifts as a manual labourer. He nearly lost his father to a stomach ailment when he was 13, and he attributes his dad’s illness to his long erratic shifts. Now Vernon and two of his three sisters work in health and social care, and he continues to fight the link between class and ill health.